The Radiopharma segment has business relations with different institutions, hospitals and companies from all over the world. 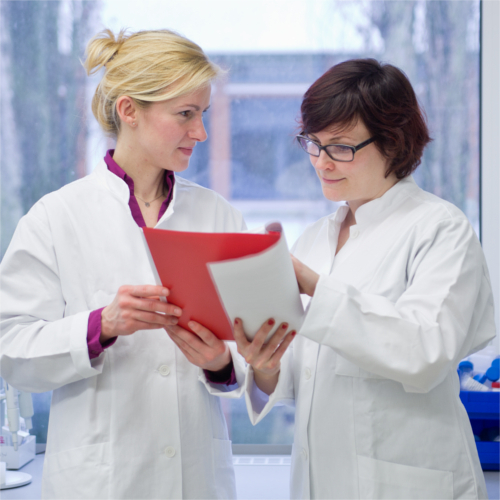 Our highly qualified, experienced staff, well established partnerships and own research and production facilities make us a center of competence for radiochemistry. We want to share this advantage to make your project a great success. Whether you are looking for an international partner to take care of sales or want to outsource research & development activities, we look forward to get to know you and your concepts. The experience from hundreds of installations of synthesis systems and analytical equipment, the registration of different medicinal products in the European Union and filing of Drug Master Files in the USA as well as the close cooperation with our international network of partners, make Eckert & Ziegler Radiopharma your sophisticated and reliable partner for the realization of projects in the field of personalized medicine in nuclear medicine and molecular imaging. As a center of competence with own research and development departments for hardware, software, synthesis development and validation we offer a comprehensive range of tools to contribute to your success. Our competent team with long-term technical, radiochemical, sales and regulatory expertise is on hand with help and advice or independently realizes parts of the project according to your guidelines. The following examples provide an insight how successful collaborations with Eckert & Ziegler look like. Octreopharm Sciences GmbH (OPS) is an innovative Berlin-based radiopharmaceutical company developing compounds for the management of neuroendocrine tumors, belonging to Ipsen since May 2015. Before the sale Eckert & Ziegler invested in OPS owning about third of the company. In addition laboratory space and appropriate equipment were provided to all centers within the study network to help expediting the development of their promising product. Taking notice of the grand strides OctreoPharm was making, Ipsen became interested in the company in 2015 and decided to incorporate them into their portfolio. The main goal of the collaboration was to support OctreoPharm while getting their project off the ground. In the foreseeable future Eckert & Ziegler Radiopharma will become contract manufacturer for the radiolabeling of the OPS therapeutic compound. The Copenhagen-based company Curasight is a promising pioneer working on the exploitation of the novel PET imaging target uPAR for improved diagnosis of various types of cancer. Our cooperation is not only based on a financial investment but much more the provision of know-how and manpower. 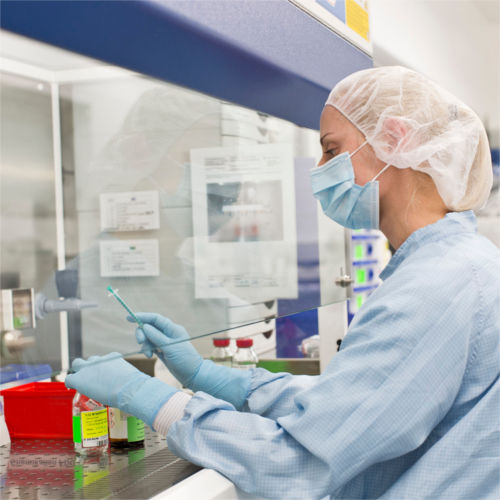 Eckert & Ziegler provides qualified personnel, laboratory space and equipment to get the uPAR PET ligand ready for the market as quickly as possible. Some Eckert & Ziegler employees are solely working on this project executing the experimental work and regulatory preparation to receive all data for enabling the production of a drug product. The overall goal of the collaboration is the development of a kit. Looking for a reliable collaboration partner? We provide cutting-edge start-up companies in the nuclear medicine market with regulatory and radiochemical knowhow, allocate personnel and facilities and give financial support to accelerate your business success. Moreover, we are always looking for cooperation to collectively realize promising projects. Contact us to introduce your idea and discuss support opportunities by clicking the button below. We are looking forward to learn about your innovative concepts and start our partnership. Our international distribution partners represent an important part of our work. Not only that they are the main contact for local customers, much more they provide cultural and regulatory knowledge about their territories and help us to understand what you need. Furthermore, they introduce and explain our products at the several national congresses and events or even organize local user meetings, special symposia and workshops according to your demand. If you do not know your local counterpart, contact us and we will connect you with our partner. Are you interested in the distribution of our products, a collaboration or do you want to introduce your project and discuss its great potential? We are curious and look forward to receiving your message!